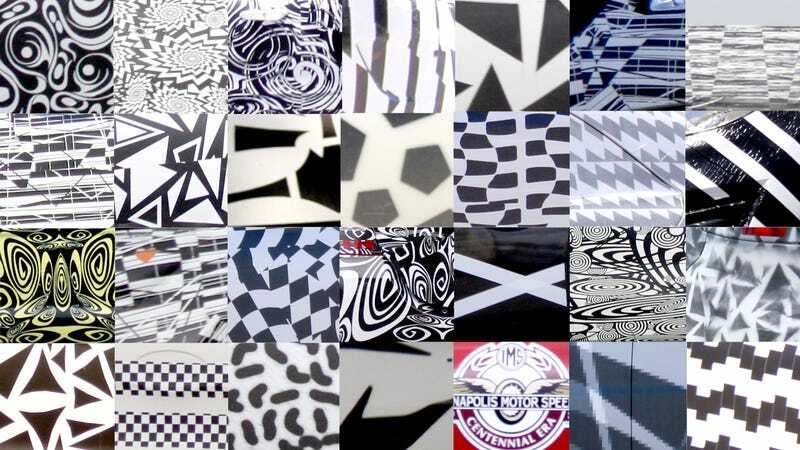 Modern day car camouflage has become a work of art. Warhol would be stimulated by the blending of elaborate shapes and lines all overlaid in order to disguise the design that lies beneath. Can you ID the brands behind the camo? I made this nifty grid of camo from different OEMs. I am willing to bet that no individual person can identify the camo from each grid. I'll even make this a little easier by only asking you to identify the OEM, NOT the model, and tell you that I have personally photographed all the cars. If an individual can identify all of them before the group can I will have this printed on canvas for that individual. Top left hand corner is 1A, and bottom right hand corner is 4G. Enjoy. Feel free to use the image annotation feature.